After the Mahabharata war, Goddess Saraswati’s grace transformed three sand dunes into idols of Mata Kali, Mata Saraswati and Mata Lakshmi. 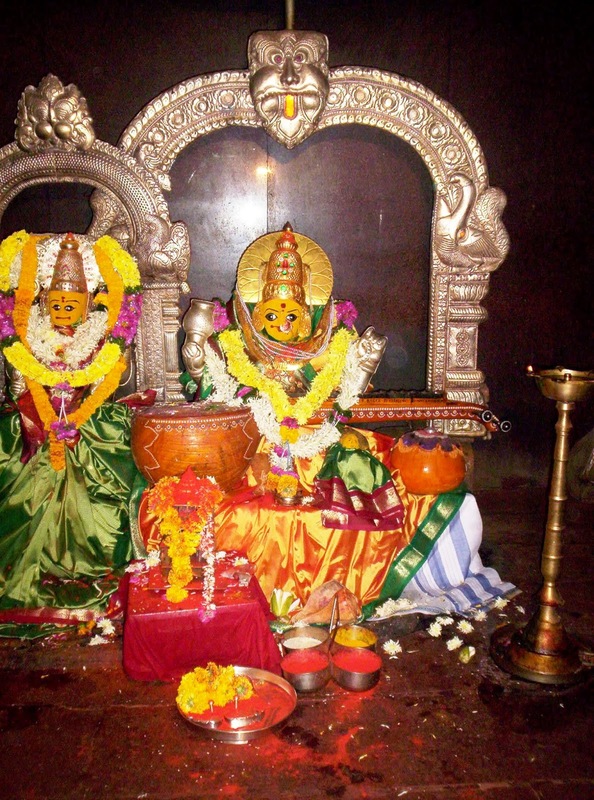 While the three Devis are present in this temple 200 km from Hyderabad, all the Devis are worshipped as aspects of Mata Saraswati.This temple is located on the banks of Godavari River at Basar, Many pilgrims come to Basara to perform the “Akshara abhyasam” ceremony for the children before they start formal school education. May Mata Saraswati who blessed Bhagwan Veda Vyasa by transforming sand dunes into murtis of the trimurti, bless us all!